Blaine Carmichael was one of the best athletes ever to come out of Shreve High School, but he was also known for his accomplishments off the playing field as well. Carmichael played football for four years and earned four letters as an offensive halfback and defensive linebacker. He was chosen to the All Wayne County League team in both his junior and senior years and was selected League Most Valuable Player in his senior year. He later coached a PeeWee team from 1976-1978. In basketball Carmichael lettered four years. He was selected league Honorable Mention in his junior year and First Team in his senior year. He was also selected League Most Valuable Player in his senior year. The Akron Beacon Journal said he was a “standout scorer on a team which had a poor season”. He led the team with 14.9 points per game average and was sixth leading scorer in the league. Carmichael played on several recreational league teams between 1960 and1973. In track, Carmichael was a member of the mile relay team, was a hurdler and discus thrower, but his best event was the pole vault. In 1959, he tied for the district title and tied for second at the State meet with a jump of 11’-0”. He won the Doylestown County Invitational in 1960. Leadership qualities were evident in Carmichael as he served on Student Council from 1955 to 1960 and as Vice-President in 1959-60. He was his class president in his senior year. 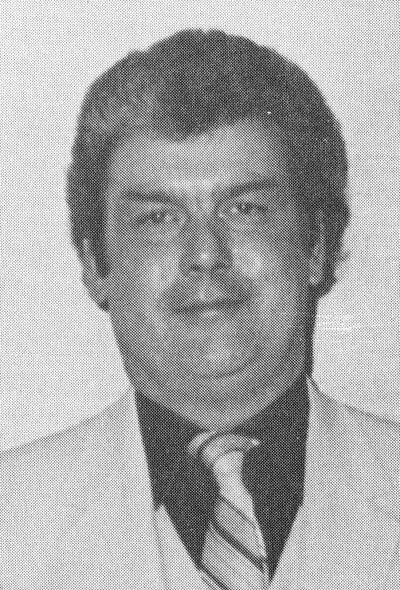 He was a member of the Triway Athletic Booster Club from 1981 to 1986, served on the Executive Committee 1982-85, and as President 1983-84. In 1985, he was elected to the school board at Triway and served until his death in 1986. Some of the volunteer work accomplished by Carmichael included maintenance of the baseball field at Triway, resodding the infield once and filling with dirt as necessary to make the field a safe and attractive place to play. He also saw to installation of concrete under the bleachers. Carmichael passed away at the age of 43 in 1986. In the nominating letter, Arnold Mokma said “his untimely death removed him from us before we could thank him for his service. His nomination is his way of saying Thanks. The Baseball field at Triway High School has been named in his honor.